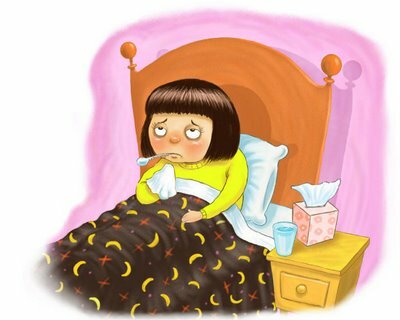 I'm sick...again...and I am just about tired of it. I don't know if it is a combination of a cold, cough and soreness from my sledding or if my body is aching from the flu and I just think I'm sore from sledding. And just a few minutes ago I thought I might have TMJ and arthritis because my joints hurt. Or if yadda yadda yadda. I could go on with this chatter for about 4 paragraphs, that's how many things feel sucky. Either way, I feel like crap! I skipped my run this morning for a few more hours in the bed. I thought it would help but not really. Its been too many days since I worked out and I am ready to do something. I also skipped out on Zumba today and my late night workout. My workout buddy is a little under the weather as well so I guess that part worked out pretty well. I am going to run in the morning if I am feeling any better, even if I still feel gross I am going to try to go out there and get a run in. I have to do SOMETHING! I hate blogging when I don't feel good because I seem to be the Grinch....but I am really not trying to be Grinchy tonight. Ill come back to you tomorrow hopefully fully medicated and feeling much better but either way Ill say something! I'm right there with you! I'm sick (and tired) too. :P Mine is "just" a bad sore throat that seems to be getting better tonight and hopefully will be gone tomorrow. I know how frustrating it is to WANT to get out and get moving but be sidelined by a cold or injury. I hope you feel a lot better tomorrow too! But most importantly, make sure you're still listening to your body!